PPACA coverage increased prescription drug revenue. 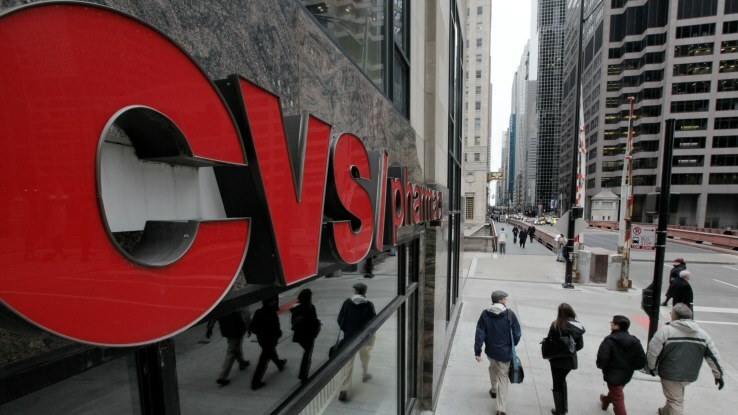 (Bloomberg) — CVS Health Corp. (NYSE:CVS), the largest provider of prescription drugs in the U.S., posted fourth-quarter earnings that beat analyst estimates as demand for medicine outweighed the drop in revenue from a decision to stop selling tobacco products. Profit of $1.21 a share, excluding one-time items, was 1 cent more than the average of analysts’ estimates compiled by Bloomberg. Sales rose 13 percent to $37.1 billion, the Woonsocket, Rhode Island-based company said in a statement Tuesday. Analysts had projected $36 billion on average. Growth in prescription drug sales, driven by new health insurance available to millions of previously uninsured Americans through the Patient Protection and Affordable Care Act (PPACA), is helping the company weather the loss of tobacco revenue. CVS stopped selling cigarettes in September, making the fourth quarter the first full financial period without any tobacco-related revenue. CVS previously generated about $2 billion annually in tobacco sales. CVS shares rose less than 1 percent to $99.81 at 9:40 a.m. in New York. The company reiterated its forecast for 2015 earnings of $5.05 to $5.19 a share, compared with the average estimate of $5.15. Pharmacy services revenue climbed 22 percent to $23.9 billion, boosted in part by prices for drugs to treat chronic diseases like hepatitis C.
A severe flu season, coupled with a mismatched vaccine that failed to provide strong protection against infection, increased sales at the company’s 7,800 drugstores. Retail pharmacy sales at stores open at least a year grew 5.5 percent, with the flu contributing about 0.4 percentage point of that growth, Merlo said. Prescription volumes in CVS stores climbed 5.3 percent. See also: Mild flu season hurts CVS profits. Front-of-store sales for locations that have been open at least a year dropped 7.2 percent, reflecting the absence of tobacco products. Net income rose to $1.32 billion, or $1.15 a share, from $1.27 billion, or $1.06, a year earlier.